FitzPatrick is departing the company as it evaluates its 150 agency partnerships. NEW BRUNSWICK, NJ: Johnson & Johnson chief communications officer Maggie FitzPatrick is departing the healthcare company after nearly three years in the role. Upon her exit, FitzPatrick’s direct reports will be managed by Michael Sneed, J&J’s VP of global corporate affairs, while an external search for her replacement is conducted. "We have accomplished a significant transformation at J&J in order to build on the company's strong legacy of corporate character," FitzPatrick told PRWeek via email. "The global team now has the operating model and modern capabilities to advance engagement and strengthen customer trust." She said it has been a "privilege and honor" to work at J&J, and added that she is excited for the next chapter in her life. FitzPatrick’s next plans were not immediately clear. Sneed said in an internal memo to staffers on Monday that FitzPatrick has been instrumental in building a single, globally connected communications and public affairs organization for the healthcare company. "She has led the organization through a significant modernization and transformation that has increased our capabilities, expanded our expertise in the optimization of global insights, analytics, and digital communication, and in which we’ve significantly enhanced our media outreach and internal and external engagement practices," he said, in the memo. Sneed added that FitzPatrick also drove the development of the company’s enterprise alignment model, which has "improved the business impact of communications, increased trust, and provides a more global and uniform approach to engagement with J&J’s many stakeholders." Last April, FitzPatrick said the company was planning to redesign its global operating model for its communications function to help it keep up with the rapidly changing healthcare marketplace. FitzPatrick said at the time that J&J is making investments in digital and social, along with insights and analytics, as part of the reorganization. She added that she wanted to bring the company’s 150 agency partners in line with its vision and have the right capabilities to complement its resources internally. FitzPatrick confirmed the company is evaluating its agency relationships. J&J centralized its global communications structure under FitzPatrick last year. Ernie Knewitz, VP of global media relations at J&J, said the company will continue to implement those changes. "That work will continue, and we have a vision for how to align the global comms function; we will see that through," he said. "That is a continuing evolution that has already begun." Before joining J&J in 2013, FitzPatrick led global communications at Cigna. Earlier in her career, FitzPatrick served as EVP in the Washington office of APCO Worldwide. 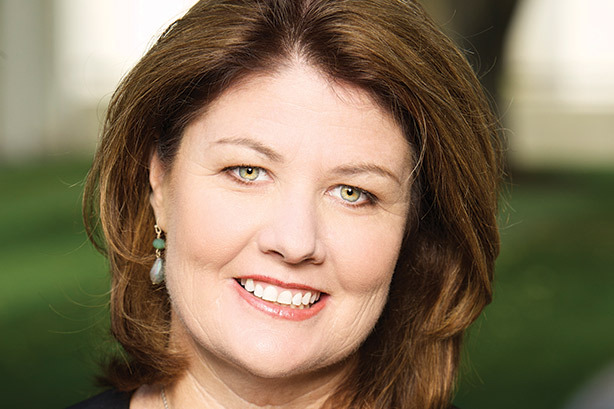 FitzPatrick was named to PRWeek's Power List in 2012, 2014, and 2015.